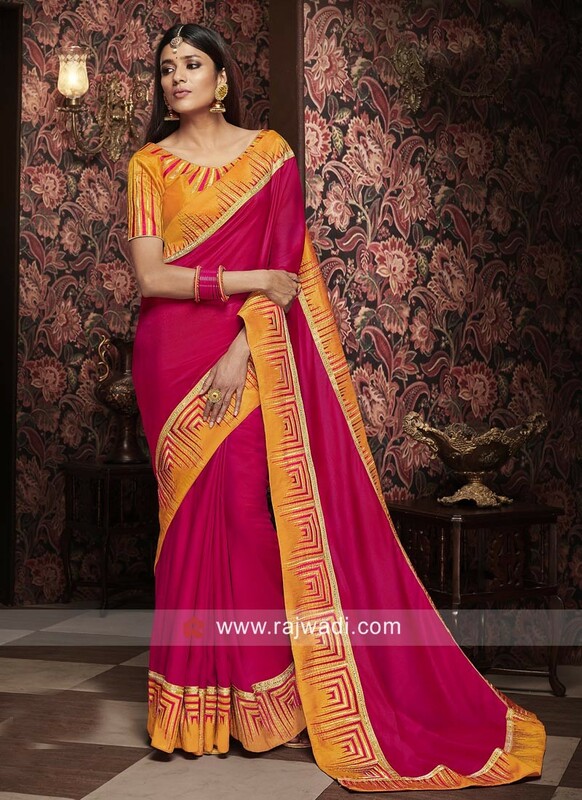 A Deep Pink plain Silk Saree is enhanced with contrast golden yellow designer border. 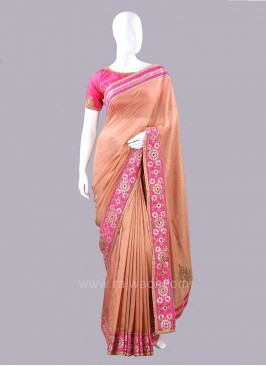 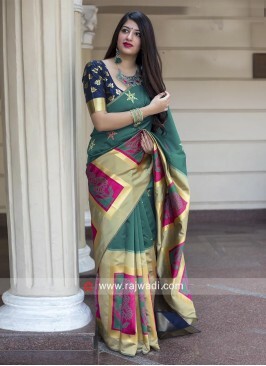 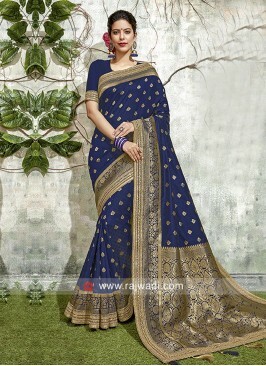 It comes with Silk embroidered blouse piece. 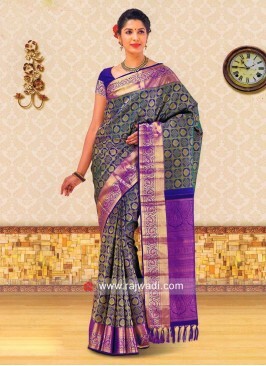 Banarasi Silk Saree in Go..
Maroon Lace Border Work S..
Net Flower Work Saree in .. 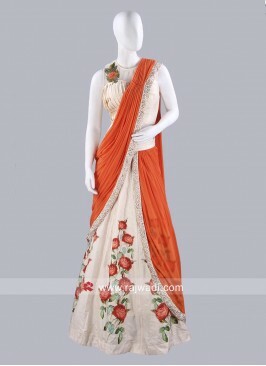 Cream and Orange Lehenga ..